This text was first published in book form by The Poet's Press in 1987, in a hand-bound edition of 200 copies, then in a revised hardcover edition with an expanded introductory essay in 2008; then with further revisions to the essay and additional poetry by Mrs. Whitman in 2008. 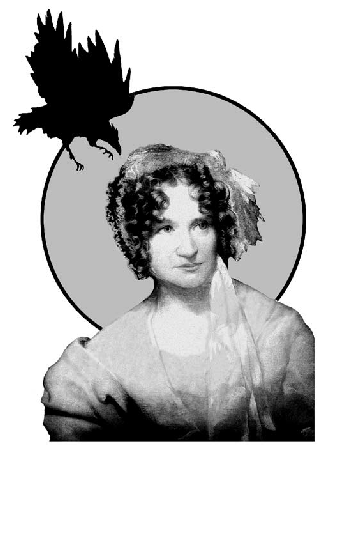 At the time of this book's publication, the work of Sarah Helen Whitman, Providence's most famous poet, had been out of print for more than 60 years, and the poems of Poe and his Rhode Island fiancee had never before appeared together in one collection. This volume recreates their highly charged meeting of minds. The expanded introductory essay contains much new material about Mrs. Whitman's family history, literary Providence in the 1840s to the 1870s, and a day-to-day account of Poe's 28 days in Providence during his doomed courtship. Click here to order this book from Amazon. Brett Rutherford has lectured on Poe and Mrs Whitman at The John Hay Library (Brown University), The Providence Athenaeum, The Foxboro (MA) Historical Society, and the NEA's Big Read Program (Rhode Island College, 2010). 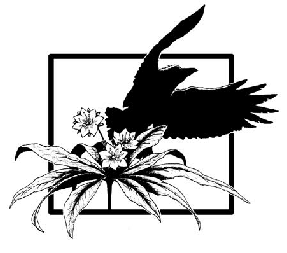 For more information contact brett@poetspress.org. was the whispered word, "Lenore?" murmured back the word, "Lenore"
tell me — tell me, I implore!" Sleeping on my chamber floor. Were to me, a nobler sight. Thro’ the lonely midnight hour. And I lose the golden boon. Sounds across the distant moor. Then, Oh! 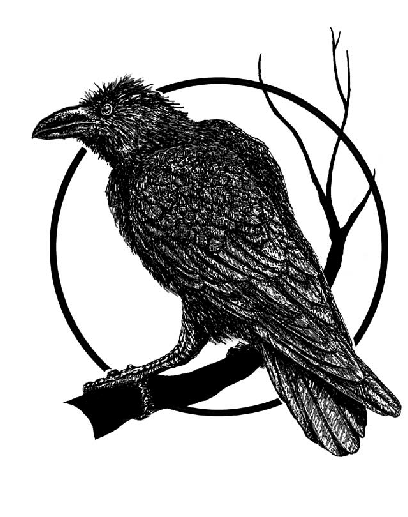 Grim and Ghastly Raven! Flapped his wings and croaked “Despair”? Shall our lofty eyrie share. Through the lonely midnight hour. Weirdly whispers "I am here." Like a cloud, thy shadow fell. Through the leafless woods of Weir! Shall his Charmion meet once more. And on thine own, upturn'd — alas, in sorrow! Save only thee and me. (Oh, Heaven! — oh, God! So fern, und doch so nah. — GOETHE. Reflect no gleam of orient light. Tonight's weird realm of fantasy. The phantom Past, pale gliding near. The visioned Past; so strangely fair! So veiled in shadowy, soft regrets. That lingers when the day-star sets! To win it back from nothingness! Forever near, yet oh how far! And glooms athwart the dying stars. From the bruised lily's floral fold. "My soul is weary of her life;"
Nor wins from twilight thoughts away. This memory of departed hours! The waters of that silent lake. Oh, fly! — let us fly! — for we must." I replied — "This is nothing but dreaming. "Our star looks through the storm." Soul of thy soul through all eternity. Till warned of Evening by her folding star. And flecking all the turf with drops of gold. Borne by the breeze of Autumn far away. Of the dark waters, booming far below. To ban or bless, as sorcery rules the hour. And his young dreams with heavenly beauty blest. And thou, "stern ruler of the inverted year,"
That can ideal worth to rudest forms impart? Send hollow murmurs through the echoing hall. And weaves a dream so sweet, hope could not ask for more. They fill their dark urns from the fount of light. And "gods and heroes blaze along the skies." its heavenward course to keep. In agony, to the Earth-and Heaven. 'T is — oh, 't is an Eldorado! I could not all forget thee. With thy wild vows, tomorrow. It owns not but in breaking. Where the waves ever murmur, "No more, never more;"
Rings on my spirit like a knell. Softer than sleep, on valley, wave and wood? Of a resigned and passionless despair. Sighed dreamily, "We are the last! the last!" Around me like a golden halo fell! And my lips murmured, "Fare thee well! — farewell!" Of memory, treasured their sweet rhapsodies. Sigh dreamily, "We are the last! — the last!" What,? a world of happiness their harmony foretells! Where dead kings walk and phantoms wail forever. With some wild dream of untold despair. I feel thy lingering kisses on my lips. And all the heaven of summer in my eyes. To the dear magic of thy love's dominion. By Ceres on her stately temples worn. Seeking with light thy lonely dark to fill. Of the red lake by thy proud palace gleaming. I pass this lonely, lingering time flowers! By the slow pulsing of their silver chime. And my high heaven of heavens is in thy heart. Of "the old time entombed." Like Eblis on his burning throne. Unscathed upon thy dread despair. Or bid the avenging sorrow sleep. A solemn vigil for thy soul. A dark, funereal shadow waves. Till light along the orient blooms. In the high order of thy star! Where thy bright presence cast its blissful spell? Its glory and its kingdom and its power! A spirit looked on me with eyes like thine. Heaven deepening within heaven, serene and still. Souls whose deep lives lie folded heart in heart. In death the deathless power and divine life of love. Nor with the night's phantasmal glories waned. Through mouldering sepulchres and cypress bowers. The full sweet answers that my lips denied thee. Sad dawn of love in realms of death revealed! A solemn voice that sighed, "Ye meet no more." Sleep on my heart till Heaven the flower unfold. The drear enchantments of that Dantean hell! "Was it not Fate, whose earthly name is Sorrow,"
Of starry isles, to hold his course to thee. Floats the far perfume of the Eden palm. take their high seat in the heavens. — Georgics, Book IV. Into my heart of hearts!" I never more may hear! When all beside is still. The burden of its woe. That will not pass away." The whisper of the dark! Are smiling on thy grave. How I weary of their splendor! Far away — far, far away!!" When no earthly sound is near. "No more — no more — no more — "
And all I loved — I loved alone. "The mysterious silence of full noon." "Combien de fois dans le silence de minuit, et dans cet autre silence de midi, si accablant, si inquiet, si dévorant, n'ai-je pas senti mon coeur se précipiter vers un but inconnu, vers un onhbeur sans forme et sans nom, qui est au ciel, qui est dans l'air, qui est partout, comme l'amour! C'est l'aspiration sainte de la partie la plus éthéreé de notre âme vers l'inconnu." Droops with its wealth of bloom. All the lone and lustrous air. Wasting care with golden treasure." So the choral verses sang. Ready to veil its ray. Seemed waiting for the day. Downward to a place of tombs. Traitors to the Holy Ghost! Of love ere love and hope had flown. Keen as the serpent's tongue of flame? The music of my heart to be. In a wild world of its own. As a wind-harp's by the breeze. And death athwart the noonlight swept. Buried, yet quick, my own heart lay. And whispered of the dead. But rounded Death's vast empery. The doomed, by Pluto's iron gates. Around the throne of Law. Were heard from shore to shore. They were the drear and shadowy DEAD! Of the ancient Runic rhyme. Still conquered, yet conflicting still. In the cloud and in the fire. Its waters fled my thirsting lip. Were blistered by a poison dew. The aureola of the Ghost. Through fable's gorgeous oriel came. Rang through Dodona's haunted grove. Like fiery tongues of Pentecost. Evohe! — ah — Evohe! The primal curse — the primal throe. Nor break the sleep of ages fled. Life lay as in a dream of beauty furled. I heard the Persian hail him Lord of Life! Hiding the holy heavens with their ensanguined dye. Veiled from the careless and incurious eye. Lost in the dim world of a lotus dream. Of Good and Evil haunted me. Sophists gloried in her shame. Forever towards their unknown goal. Our dim world's anguish and despair? On her green and silent breast! The calm and dreamless sleep. The chime of her sweet undersong. She taught me sweet and holy things. Her beauty melted through my inmost heart. Life, love, and beauty dwell. (1) "The priestsses of Dodona assert that two black pigeons flew from Thebes in Egypt; one of which settled in Libya, the other among themselves: which latter, resting on a beech tree, declared with a human voice that here was to be the oracle of Jove." — Herodotus, Book II, ch 55. (2) The Maenads, in their wild incantations, carried serpents in their hands, and with frantic gestures cried out Eva! Eva! Epiphanius thinks that this invocation related to the mother of mankind; but I am inclined to believe that it was the word Epha or Opha, rendered by the Greeks, Ophis, serpent. I take Abbadon to have been the name of the same ophite God whose worship has so long infected the world. The learned Heinsius makes Abbadon the same as the serpent Python." "While Maenads cry Evoe, Evoe! That voice that is contagion to the world." Like Memnon wakening from his marble dream. And far, sweet dreams of "fairly lands forlorn." Which in high hearts the immortal spirit keeps. With marvel and with mystery and with power. To the heart's pulses, answering unaware. Sleep restfully after life's fevered dream! Thy soul, refreshed, shall bathe in morning's beam. And Heaven rekindle all the stars that fall. Copyright 1987, 2003, 2008 by Brett Rutherford (for introductory essay). 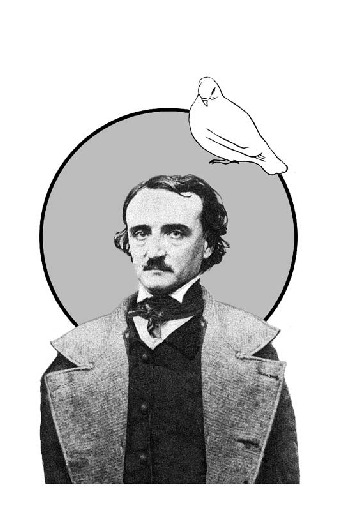 The works of Edgar Allan Poe and Sarah Helen Whitman are in the public domain. Revised May 2011. The printed book can be ordered from Amazon. Click here to order.